Holi, Silverlake Flea, CSULB Pow Wow, DTLA Photowalk, Booty Bootcamp, Grand Park Downtown Book Fest, Smorgasburg, Green Living & Pet Adoption Fair, Beat Swap Meet ::: LAaLALand Alert!! | LAaLALand Alert!! This weekend’s events include: Holi Fests, Silverlake Flea, CSULB Pow Wow, DTLA Photowalk, Booty Bootcamp, Grand Park Downtown Book Fest, Smorgasburg Santa Monica & DTLA, Green Living & Pet Adoption Fair, Beat Swap Meet, and so much more! Enjoy a free evening of art, music and entertainment as Pasadena’s most prominent arts and cultural institutions swing open their doors. The night is yours to decide. Begin your journey at any one of our 18 participating cultural institutions, where free shuttles will be waiting to transport you to your next destination. Last fall, 28,000 people experienced the excitement of ArtNight. Don’t miss the fun this spring! World’s happiest transformational festival filled with DJs, interactive dance, Yoga, mantra bands, cuisine, crafts free hugs and colors of course! Join for a super fun workout class hosted by choreographer, dancer and fitness expert, JJ Dancer. JJ Dancer is a unique, high-energy workout that brings intense body conditioning, plyometrics, and kickboxing together with a fun, hot and sweaty dance party! It’s hard work, sweat and fun, set to great music and all that you’ve got to give! Bangin’ Body Bootcamp is designed to change your body, your mind, and leave you feeling empowered and unstoppable! In collaboration with the City of Los Angeles’ Big Read honoring the poetry of Emily Dickinson, Grand Park’s Downtown Book fest turns Dickinson’s poetry inside out with performances by Cut Chemist + Hymnal, Dan Prathers and Mayda de Valle. Free hands-on activities include creating your own pieces of poetic genius with PUBLISH! by Writ Large Press, constructing handmade books using dried plant specimens, a photo booth with Victorian-era props and prose, free writing advice, 826LA’s never-ending story, and pop-up bookshops for literary lovers big and small. Downtown Book fest is a part of Grand Park’s Our L.A. Voices, a season-wide celebration of Angeleno expression. The Green Living Fair is a FREE family friendly community event that engages Angelenos on diverse ways to make Los Angeles a more sustainable and environmentally responsible place to live, work, and play. This event provides a platform for 25+ nonprofits, educators, organizations, and City, County and State Agencies and Departments to highlight their conservation, preservation, and sustainability programs and services in a fun and entertaining outdoor environment. *Trees will be available if you live or own property within the City of Los Angeles. Trees must be planted on private property. Verification is required (DL, ID or DWP bill). Trees are distributed on a first come, first served basis and must be planted in the ground. Mobile Pet Adoption in Studio City this Saturday! Thinking about adopting a pet? They’ll have some great dogs and cats from their East Valley Shelter available to adopt on-site. The adoption package includes your new pet’s spay/neuter surgery, microchip and current vaccinations. Join for a fun and free family-friendly event! You may just meet your new four-legged family member. Bootie LA turns Los Globos into a generational battlefield, as they mash up the most beloved songs from the past three decades — it’s Generation X vs. Millennials! All the artists you love, mixed into a blender and mashed with the best of the best, no genre or era is safe! LA’s weekly all-mashup dance party. Every Saturday at Los Globos. Free Bootie mashup CDs to the first 100 people through the door! Meet at Pershing Square (532 S. Olive St.) at 11 AM. There is a parking lot under Pershing Square. Please be sure to RSVP. See you then! Featuring dozens of invited record collectors, shops, indie labels & private dealers from all Southern California, buying, selling and trading records of all genres. + CANNED FOOD DRIVE – Please bring a canned good to donate to the cause! California State University, Long Beach’s annual Pow Wow, an American Indian social celebration, returns to the campus’ central quad on Saturday and Sunday, March 11 – 12, 2017. The largest spring event of its kind in Southern California, the Pow Wow at Cal State Long Beach is focused on displaying the university’s strong American Indian presence. Bring folding chairs. The two-day event, which will feature American Indian dancing, arts, crafts and food begins at 11 AM each day and runs until 10 PM on Saturday and 7 PM on Sunday. In addition to contests and inter-tribal dancing, there will be Gourd dancing with Dancer Registration closing at 2 PM on Saturday, March 11. All dancers and drums are invited. The Silverlake Flea Market is held once a month on every second Saturday. Some of LA’s best independent vendors of handmade, vintage, home furnishings, home decor, crafts, art, antiques and collectibles are on site selling their merchandise. 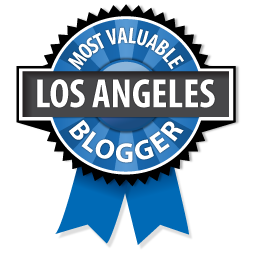 Voted locally as some of the best shopping in Los Angeles and conveniently located close to the Sunset Junction and the Silverlake Farmers Market. Join for the Biggest Ever Holi in So-Cal as they celebrate the 10th year of this mega event with over 5000 attendees! Colors fill the air as LA’s Finest DJ Sukh rocks the party all weekend long.